Winmate DIN Rail Box PC (IBDRW100) is a compact, industrial box PC, designed for a wide variety of automation and machine-to-machine applications. The device measures just 85.5 x 152mm and 139mm tall. 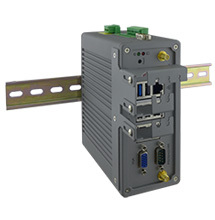 It combines an Intel Bay Trail-M N2930 processor with extensive and flexible I/O support for legacy connections requiring RS232/485 serial ports with isolation, as well as 20 pin terminal block digital I/O ports. 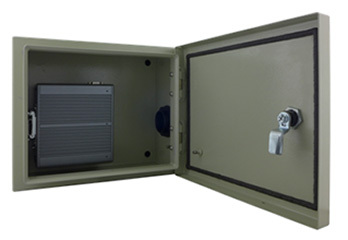 The DIN Rail Box PC also includes standard USB and gigabit Ethernet connections, as well as 64GB to 256GB mSATA solid state disks for storage. 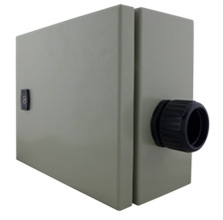 Superior thermal engineering means a fanless design and no ventilation holes. What industries require ATEX-certified equipment? Regulations apply to any potentially explosive environments including electrical, mechanical, mining, and even flour mills. ATEX-certified equipment is especially imperative in hazardous locations like oil refineries, offshore oil rigs, petrochemical plants, and remote pipeline locales.